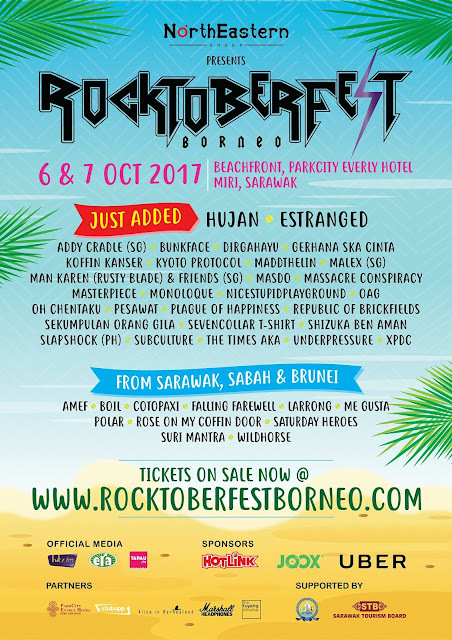 Malaysians, get ready to rock this October as a brand new music festival is about to hit the eastern part of Malaysia! 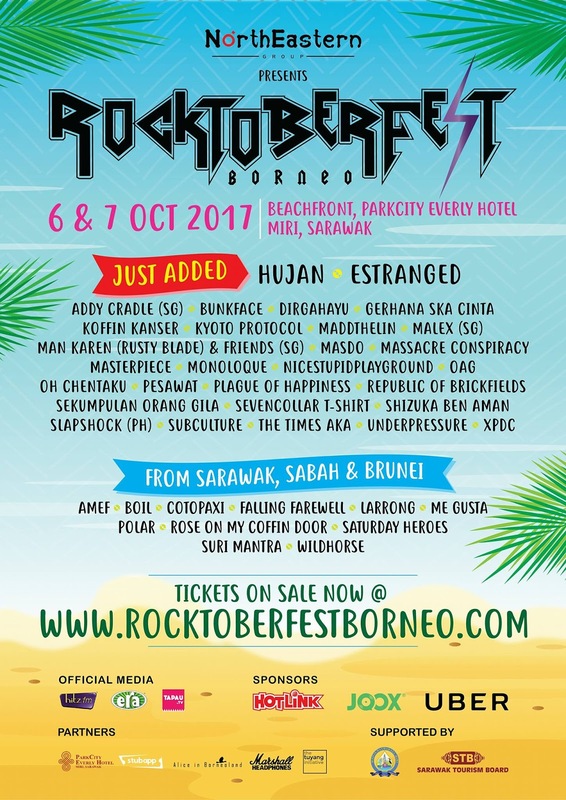 Aptly named as Rocktoberfest Borneo, the festival will be a two-day affair, kicking off on 6 and 7 October 2017 in Miri, Sarawak. The two-day festival features an impressive line-up of Malaysia’s top bands including several Bornean talents and several regional acts. Apart from the two mentioned, 30 more bands will be performing live on stage, some of the notable names include Bunkface, Dirgahayu, Kyoto Protocol, Gerhana Ska Cinta, Massacre Conspiracy, OAG, Monoloque, Sekumpulan Orang Gila, Sevencollar T-Shirt, Pesawat, and more! On the Bornean sides we have Amef, Boil, Falling Farewell, Larrong, Saturday Heroes, Suri Mantra, Wildhorse, and others, while the regional acts include Addy Cradle and Malex from Singapore, Slapshock from Philippines and Rose on My Coffin Door from Brunei. Taking place at ParkCity Everly Hotel, Rocktoberfest Borneo 2017 will also have some other fun side activities for fellow concertgoers such as Food Village, TradKulture Jam, Tattoo area, and various other showcases and on-ground activities. 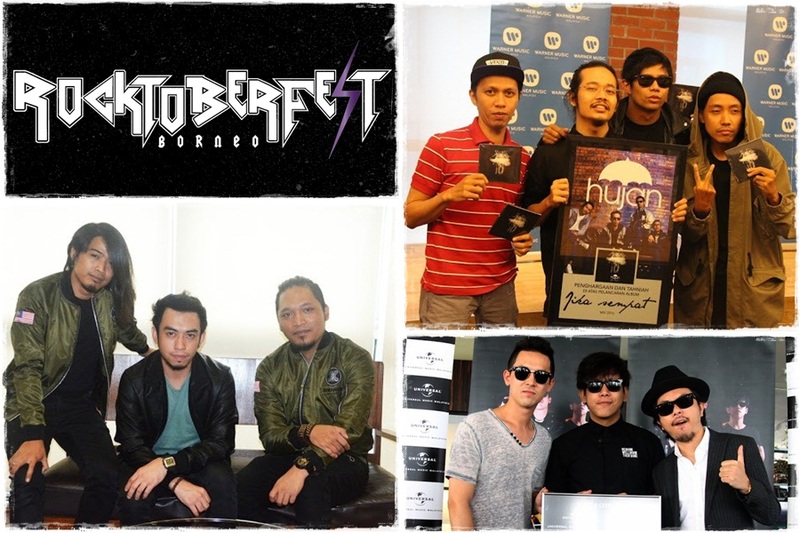 The tickets are available at rocktoberfestborneo.com.